The five domiciles of Naxian Althea, built according to the most recently appointed regulations, and thanks to the personal attention of the owner, have unparalleled aesthetics. The forged cement, the handmade traditional wooden furniture, the ornate ribbed white ceiling reflect the old form and shape of Naxian architecture which, combined with modern elements, such as downlights, present a flawless result. Furthermore, their ergonomic design and their studied wiring, makes them fully functional, securing its visitors a unique experience of relaxation and rest in full comfort. “Naxian Althea” building is new and built under the latest terms and violations. Use of modern materials, offering high standards of sound and thermal isolation, will provide luxury throughout your stay. “Naxian Althea” is established just on the golden beach of Santa Anna. Infinite View from all of our domiciles to the sea and the majestic sunsets is guaranteed. Every domicile has its own umbrella-sun beds set. No matter what your schedule is, anytime you want your private sun bed will be there waiting for you. Families travelling with kids will find Amboseli national park a safari destination matched to no other, with less tourist traffic, breathtaking open space. Spacious and bright room measuring 24 m². This twin/double room comes with King Size Bed bed, a modern, fully equipped bathroom and balcony with unique view. Spacious and bright room measuring 28 m². This triple room comes with King Size Bed bed, a modern, fully equipped bathroom and balcony with unique view. Spacious and bright superior room measuring 26 m². This triple room comes with King Size Bed bed, a modern, fully equipped bathroom and balcony with unique view. Von A bis Z ein perfekter ulraub; es wurde wirklich alles dafür getan, dass wir uns wohl fühlten !!! Nothing to dislike The room was great, good facilities, lovely large comfy bed & fabulous sea view from our balcony. Absolutely fantastic stay. Had 16 nights in total and didn t want to leave. Spiros the owner cannot do enough to make you feel welcome and enjoy your stay. 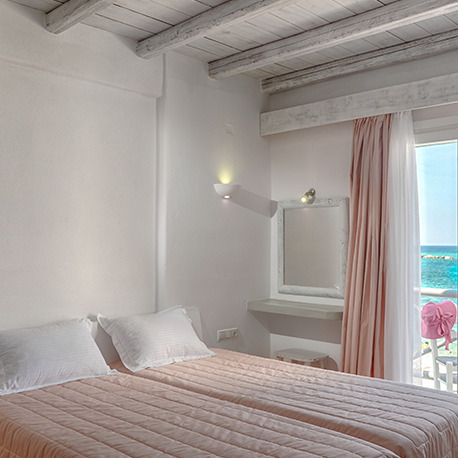 The rooms are cleaned on a daily basis with clean bedding, towels and beach towels. The view from all rooms (five in total) are absolutely stunning. Highly recommended. We loved our stay. The owner was so helpful and personable. 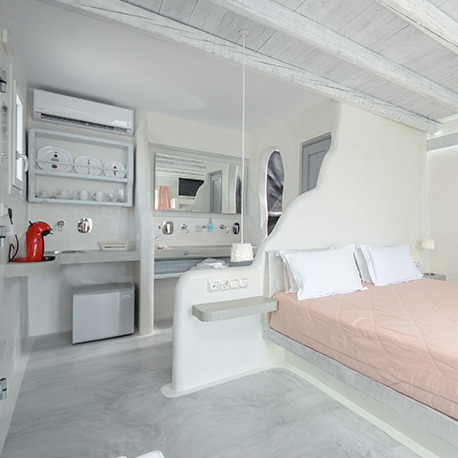 The rooms are spacious and well renovated with great style. The hotel is right on the beach with amazing restaurants right next door! Will be back for sure! Top notch place! Rooms are fantastic, great location and always nice and clean. Lots of restaurants and supermarkets close by! Posizione fantastica, ma anche l ospitalita e la gentilezza di Spiros rendono il soggiorno al Naxian Althea incantevole. Wir waren letztes Jahr zum Saisonende da, Ende September, Anfang Oktober. Die Atmosphäre in der kleinen Bucht ist unbeschreiblich, gerade wenn es etwas ruhiger ist. Und die vier Zimmer im Naxian Althea ein Traum... Wir haben den Aufenthalt total genossen! Perfect in every way! This place was perfect in every way!! The rom was great and located right on a beautiful beach, the restaurant next door would serve us our dinner on the balcony. The owner was super helpful and even gave us a free ride to catch the ferry. I can t wait to return this summer! Fabolous in every way! Stayed here for 3 nights as part of a Greek Island hopping trip. Amazing room with everything you could possibly need and literally right on the beach. Will definitely be coming back to stay for longer. Amazing rooms! Great location! Excellent design, newly finished fresh rooms! 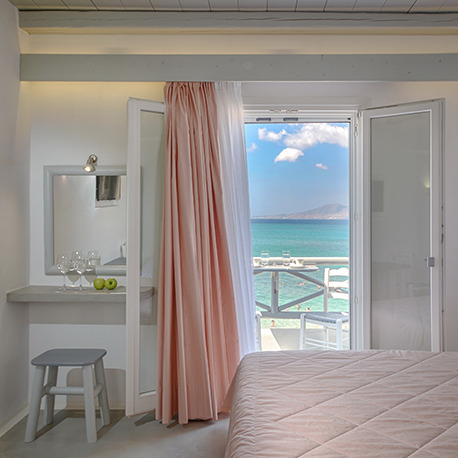 Amazing location, perfect new rooms right on the most popular beach of naxos, with great beach bars and restaurants right next door! Great hospitality! The guys who have the place are very kind and helpfull! Will visit next year again! Thank you Anna-Nikos! © -2019 Νάξια Αλθέα. All rights reserved.